Need cash quick? Short term online loans are usually the fastest way to go, but there are so many different types of loans available nowadays that it’s hard to know what to go for. In this article, Cashfloat explains the differences between nine types of loans. By examining your options carefully, you are more likely to find the cheapest and best solution for yourself. Learn about some newer options that can save you a lot of money! Discover the drawbacks of some tempting loan choices. Do you know much about the types of loans that are on offer online in the UK right now? The online loan market is changing and expanding at an alarming rate. More and more people are starting to realise that the best way to get ahead and get the cash they need is to find the solution online. But what are the benefits of borrowing money online? For a start, it means that you won’t have to meet up with a bank manager and deal with the humiliation of being turned down in person. And when you apply for a loan online, there are often more options available to you. You need to be fully aware of all the online loan options available before you dive in and sign any documents, though. You can’t make the correct decision for you until you’re aware of what options are out there. Below, you will find plenty of information on these options. It should prove to be very helpful for you, so read on now and start discovering more about the loan options out there in the online world. Payday loans have received a lot of coverage over the last few years. There has been some controversy, although the market is now heavily regulated by the FCA. But that doesn’t change the fact that they can be very beneficial for people in certain circumstances. As long as you understand the terms of the arrangement before you sign up, you can make sure that the payday deal you get doesn’t force you into any financial hardship. The vast majority of payday loans that are taken out by people are applied for online. Most of the major payday lenders out there offer a fast approval process, which means you can expect to get the money in your account quickly. They’re perfect for people with short-term cash flow problems. As long as you’re able to pay the money back in the near future, the high interest rates should not become a problem. Installment loans are usually relatively small, and they are paid back in a fixed manner. As the name suggests, they are paid back in a series of fixed installments. Each payment will have deadlines, which you will need to meet. Because of the inherent nature of these loans, you won’t be able to pay the loan off early or late without incurring penalties and paying fines. 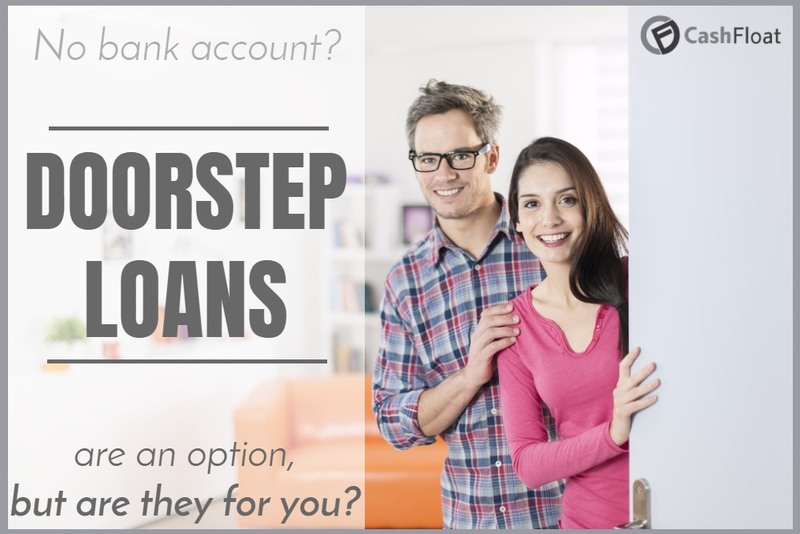 These types of loans are available online at the moment, so you should take advantage of this if you want to take one out quickly and easily. Many people see online installment loans as a good and less risky alternative to payday loans. They work in a similar kind of way, and because they tend to offer only small amounts to borrowers, they target the same kind of market that might be tempted by payday loans. Peer-to-peer loans have not been around for too long, but a lot of people are already taking advantage of them. They can be great for a lot of people because they allow them to borrow money from other people, as opposed to borrowing from banks or other financial institutions. And at the same time, people who want to make some money can lend to people and get more back because of the interest that’s applied. These peer-to-peer loan arrangements tend to happen online. That’s because the internet makes it easy for people to be matched up with lenders or borrowers, depending on what they’re looking for. These type of loans are especially helpful for people with a poor credit history who would otherwise struggle to find financing. There are a lot of people out there who find themselves in that situation. Guarantor loans are another type of loan that is ideally suited to people who do not have the very best credit history in the world. When you are not sure how you are going to get your hands on the money you want, you can back yourself up with a guarantor. This person will then have to pay your loan repayments for you if you later become unable to do so. Of course, these loans can be found and taken out very easily online. That’s the thing that is enabled them to rise and become so popular in recent times. But you will still need to find a reliable and consenting adult with a good credit history who is willing to act as your guarantor. Make sure that they know exactly what they are getting into before they sign any agreements. It’s not just private borrowers who can take advantage of the changes in the industry that are allowing more and more people to borrow money online. Right now, small businesses can also apply for financing in the form of online small business loans. When a business wants to expand, then it has to have the money to make it happen. So, it’s very common for businesses to take out loans. Small business loans tend to have reasonable terms, and getting them online can make the whole process much faster. Of course, there still is no guarantee of approval. But you will probably be left waiting much longer for a response if you take out a loan from a bank or other type of high street lender. This is what’s attracting many business owners to this kind of online borrowing. There is nothing good about finding yourself in debt. It’s something that people experience every month, but some people find themselves in worse situations than others. If you get into a lot of debt, it can be hard to stay on top of them all. One idea that can help is a debt consolidation loan. Instead of dealing with lots of smaller, tangled up debts, this turns your debt obligation into one debt that you can easily manage. These kinds of loans are not a silver bullet solution to your debt problems. However, they can make things a lot easier for some people who are starting to feel weighed down by their debt. They can be found and applied for online in the UK, so it’s something to look into if you want to sort out your debt situation as quickly as possible. If you have a credit card and you use it a lot, you might want to explore the option of taking out a cash advance. It’s a loan option that the vast majority of credit card companies offer. As the name tells you, they advance the cash to you, and you can then spend it how you please. You will just need to stick to a repayment plan to ensure that the credit card company gets paid back. Cash advances are easy to apply for. You just need to access the website of your credit card company and follow all of the instructions that you’ll find there. Some card companies will even allow you to do this via their app, making things even easier because you can apply on the go. Unsecured personal loans are the most common type of personal loans available on the UK market. And they have been around for a long time. However, thanks to the internet, how they are used and accessed is changing rapidly. Most people can now make unsecured loan applications via the internet. Many traditional banks offer this service, as well as newer and smaller lenders that only operate online. You should always make sure that you are borrowing from an approved source when you take out this kind of loan for the first time. You just need to do your research and ensure that you don’t get ripped off at any point in the process. There are so many cheap unsecured loan options available online, so it makes sense to compare offers and find the deal that’s right for you. Secured loans are not just available from banks. You can now get them easily enough from places that you wouldn’t previously have imagined. There are lots of loan providers that exist online on online platforms that can offer you a secured loan. Of course, secured personal loans do take longer to process than unsecured personal loans, so keep that in mind. However, having this option open to you is still very positive. How do these types of loans work? Secured loans work by securing the money you borrow against something that you own. In most cases, this will be your home. But there are some instances when you can secure the loan against your car or another kind of high-value possession of yours. It’s up to you to decide what you want to secure the loan against. But, of course, it will need to be approved by the loan provider. The types of loans listed above are all very different. Make sure you understand them all before you go ahead and take out a loan. If you don’t do your research and educate yourself fully, you will end up making a mistake and possibly going for a loan solution that is not right for you. So, use the information above, and make an informed decision.